Slow cooker scalloped potatoes with bacon is a creamy, crave-worthy, comfort food side dish, made easily in a crock pot! You know that one dish at a family gathering or pot luck that everyone runs to first? 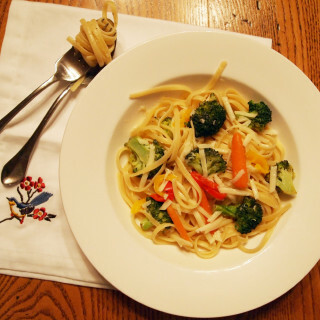 The dish that seemingly draws you toward it with gravitational force? The one dish that will make you lose your mind and cheerfully hip-check a beloved aunt out of the way before she takes the last scoop, just so that you can have it all to yourself? Oh, like you’ve never done that before! Please! 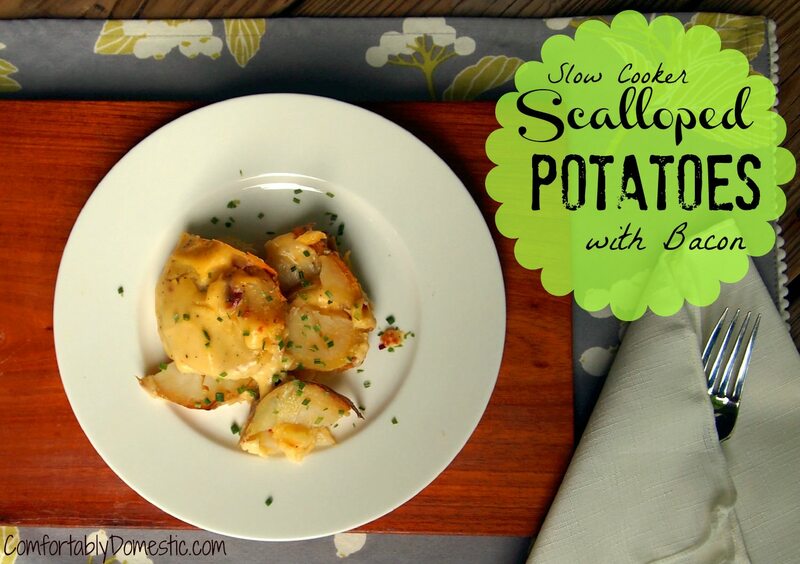 Yeah..this slow cooker recipe for scalloped potatoes with bacon is that dish. Normally, I’m a fairly rational person, but these scalloped potatoes bring out the buffet line competitor in me. I’m powerless against the creamy, cheesy, carbohydrate-laden potatoes that are studded with just the right amount of crispy bacon. The fact that these potatoes are made in a slow cooker just means that not only are they delicious, they’re also portable! So you can bring them to a gathering, thus ensuring you’re the first one in front of them in the buffet line. 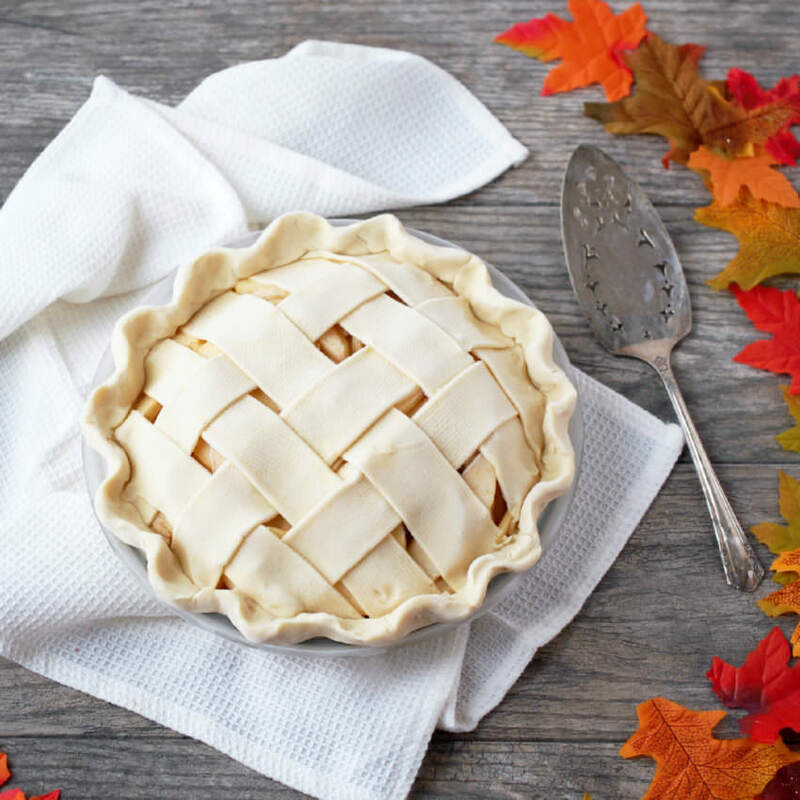 Your host will love you because not only are you delivering the goods, you’re also not asking to take up valuable oven space when you get there. You just can’t lose. Have a pan full of Aunt Sue’s favorite brownies handy to manage that emergency. Slow cooker scalloped potatoes with bacon are made with baked potatoes, cheddar cheese, bacon, 2% milk, all-purpose flour, kosher salt, black pepper, and unsalted butter. Prick the potatoes with a fork, and bake them on a baking sheet in a 350°F oven for about an hour, or until soft. Let the potatoes cool completely before using in the recipe. Since they have to cool anyway, I often bake the potatoes the night before I plan to make scalloped potatoes. I highly recommend yellow flesh potatoes, such as the Yukon Gold variety. The smooth flavor and creamy texture of gold potatoes can not be beat in this application. 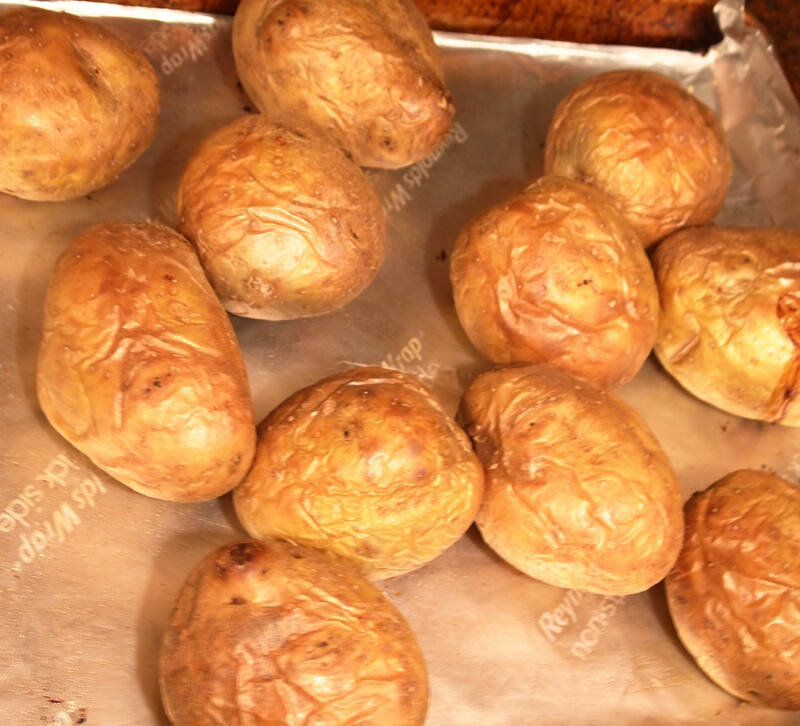 Also, gold potatoes have such thin, soft skins that they can be left intact after baking, thus eliminating the need to peel them which keeps all those good vitamins in the dish. Cook the bacon until it is very crispy. When I’m only cooking a few slices of bacon, I like to do it in the microwave. 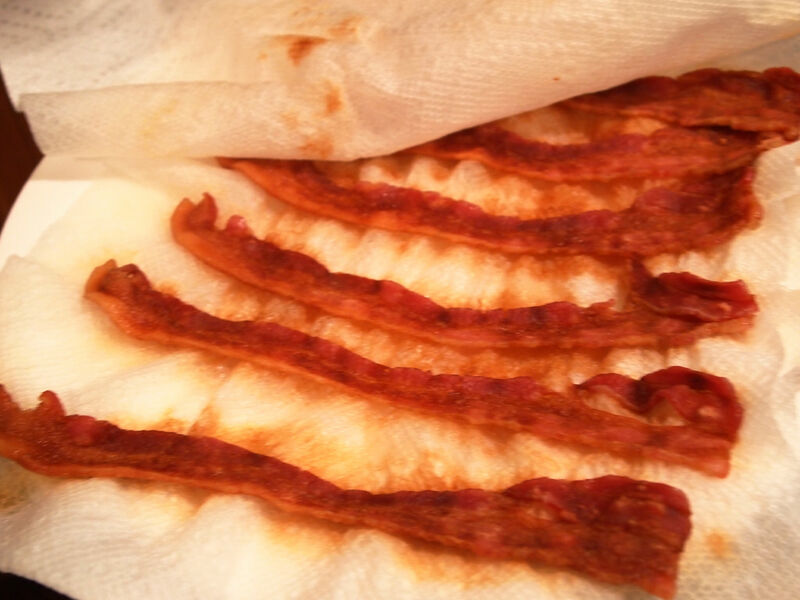 Just line a microwave safe plate with two sheets of paper towel, place the bacon on the plate, and cover it with another couple of sheets of paper towel. In my microwave, the bacon is crisp after 4 or 5 minutes on full power. Crumble the bacon and set it aside for later. If you have four little bacon-hounds in your house, then I highly recommend hiding the bacon crumbles because they tend to disappear at an alarming rate when left unattended. The bacon, that is–not the kids. Continue the prep work by grating a big ol’ pile of sharp cheddar cheese. 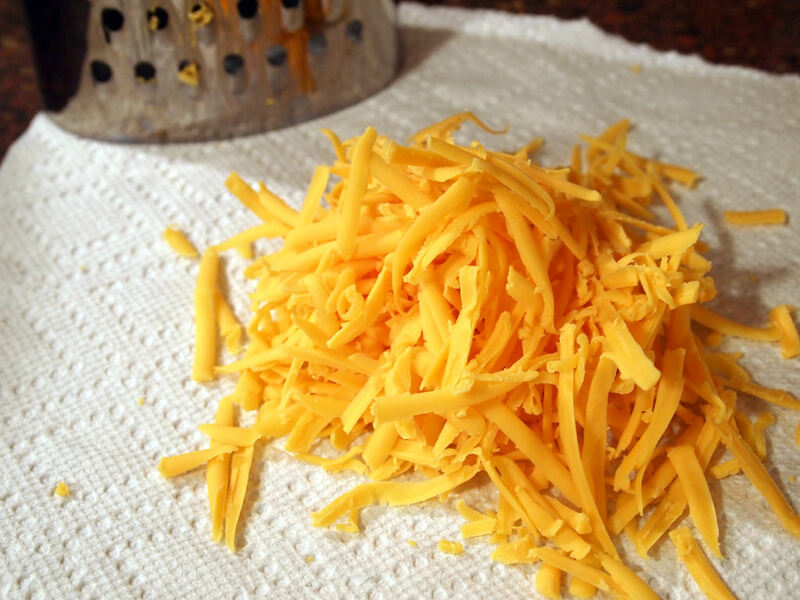 Place the freshly grated cheese in a bowl, wrap it, and keep it in the ‘fridge until your ready to make the sauce. 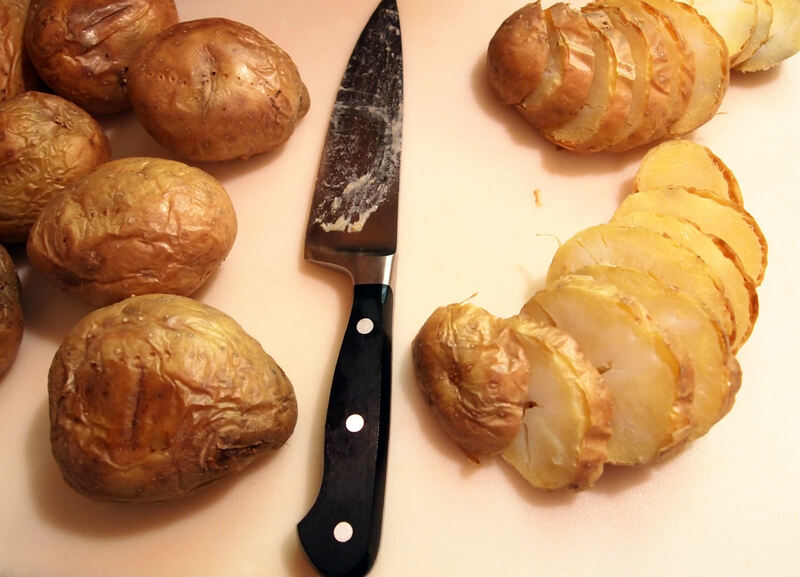 Slice the baked potatoes into 1/4-inch thick rounds. Lightly spray the inside of the crock of a slow cooker with olive oil. 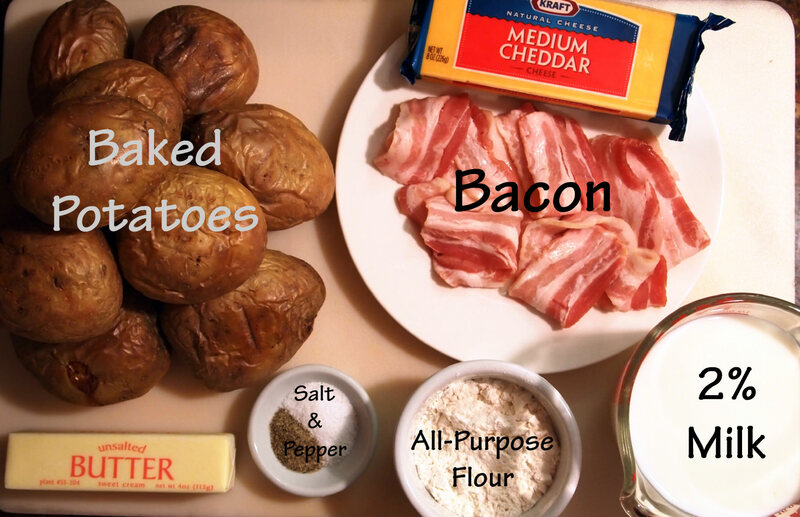 Layer half of the sliced baked potatoes into the bottom of the crock, and sprinkle them with half of the crumbled bacon. Set the crock aside while making the sauce. 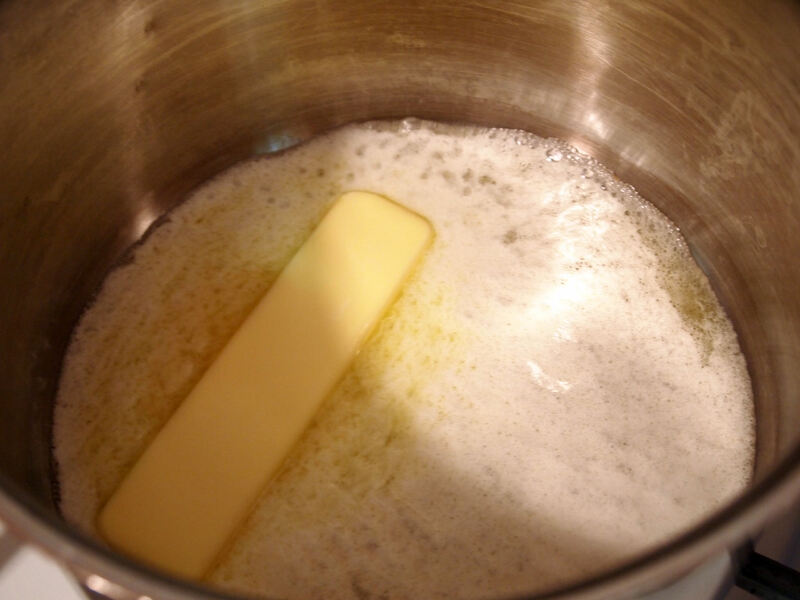 Melt the butter in a saucepan set over medium heat until it begins to foam. 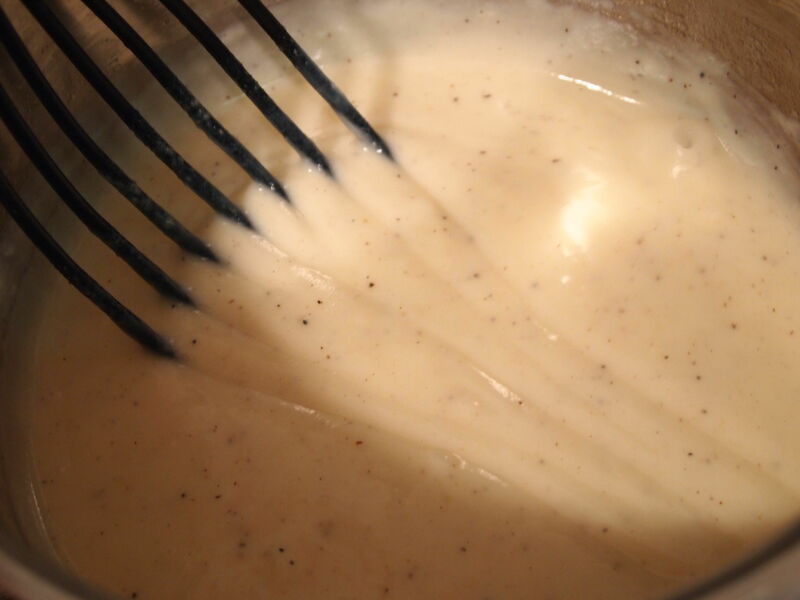 Dump the flour, salt, and pepper into the foamy butter, whisking to form a paste. 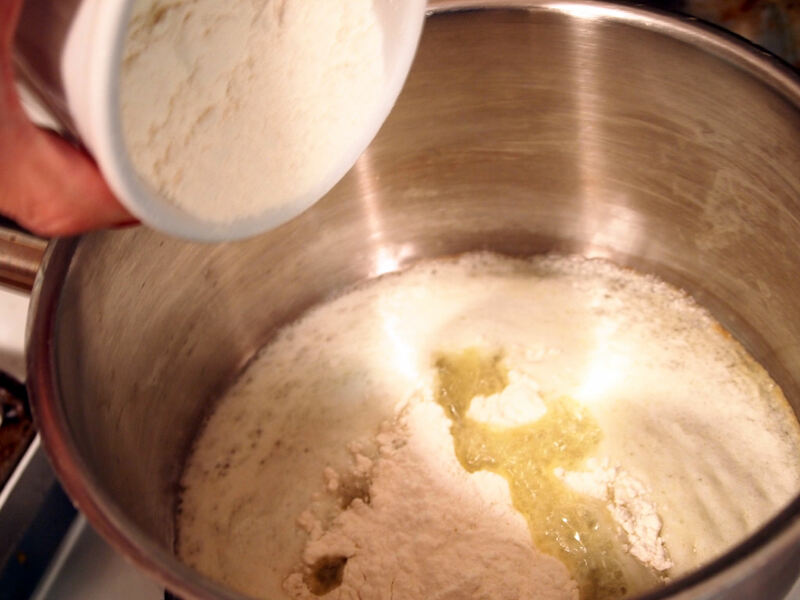 The flour will act as the thickener for the sauce. 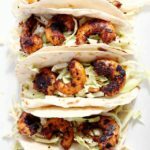 I like using flour rather than cornstarch to thicken sauces because cornstarch sauces can go from not-quite-thick to practically-sludge in a manner of seconds. Flour will thicken the sauce, and is less likely to solidify the sauce. 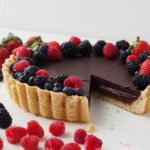 The only downside to using flour as a thickener is the “floury” taste it can leave behind. 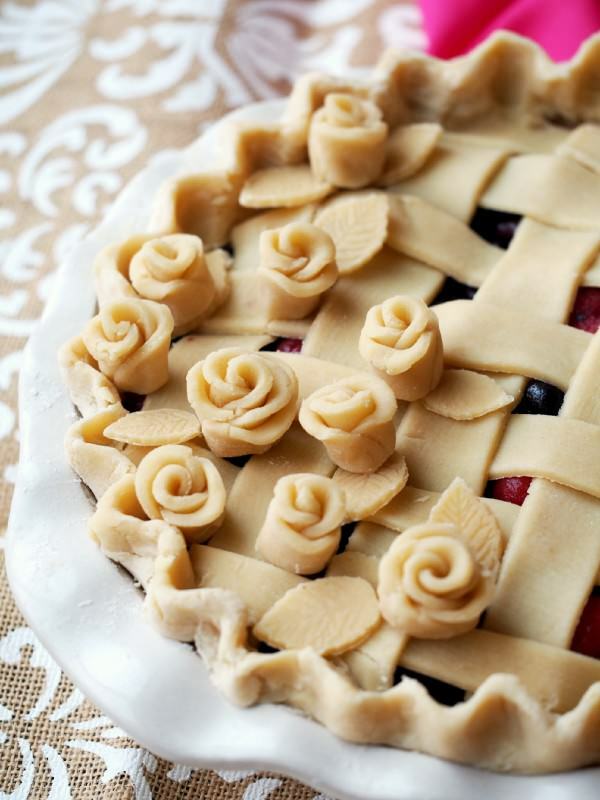 Cooking the flour/butter paste for a minute after it comes together will help to dissipate that aftertaste. 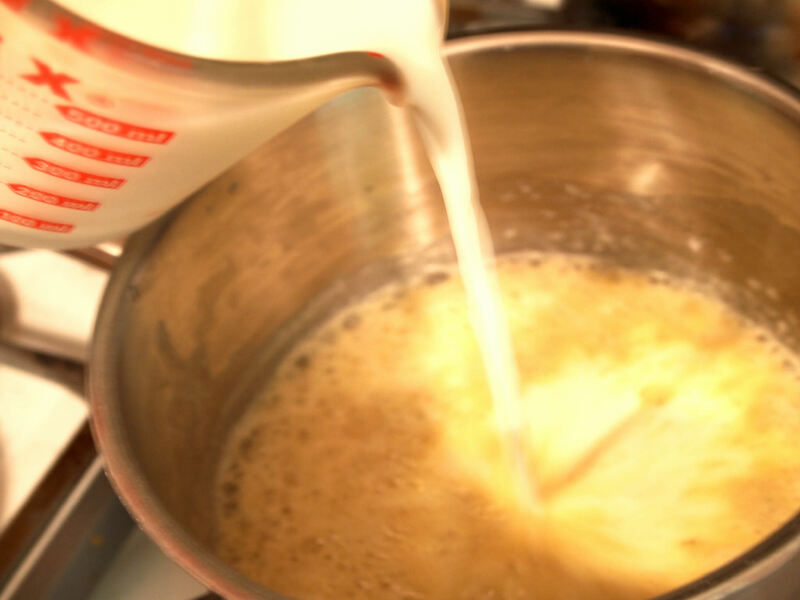 Add the milk, all at once, into the flour/butter paste; whisk until completely smooth. 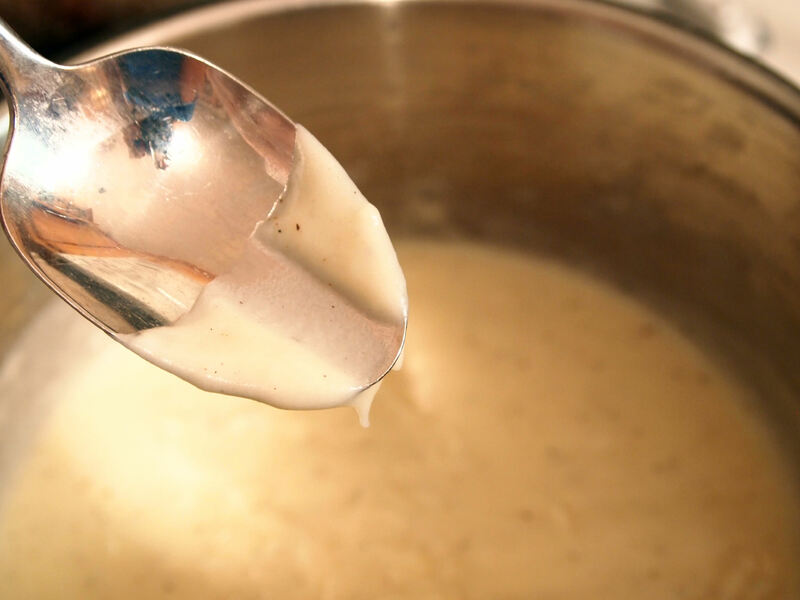 Reduce heat to medium, and continue to whisk while cooking until the sauce thickens–three to five minutes should do it. 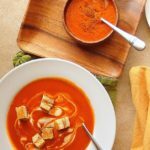 When the sauce is thick enough, you should be able to dip a spoon into it, run a finger through sauce, and the trail left behind should remain for several seconds before starting to fill back in. 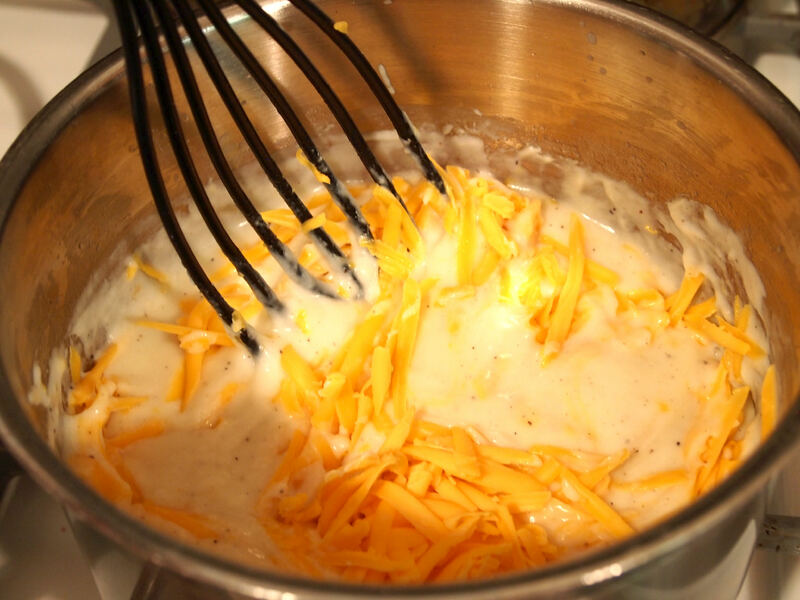 Remove the sauce from the heat, and stir in the freshly grated cheddar until it’s all melty and smooth. 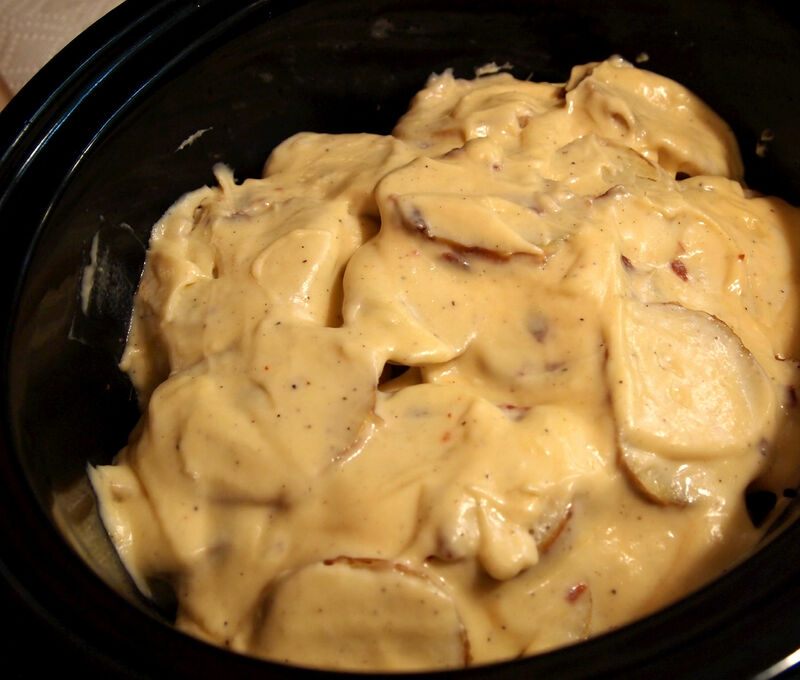 Smother the first layer of potatoes and bacon with half of the cheese sauce. Repeat the layers with the remaining potatoes, bacon, and cheese sauce. Place the lid on the crock, and cook in the slow cooker set on the LOW setting for 2 1/2 to 3 hours, or until it’s all warm and wonderful. 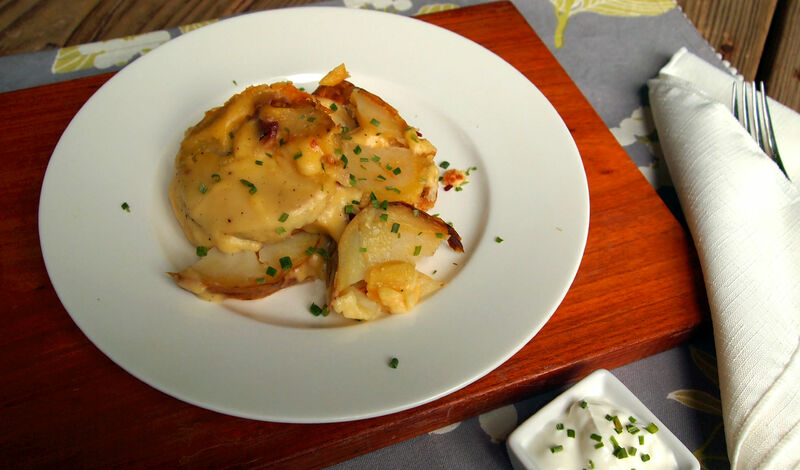 Serve the slow cooker scalloped potatoes with bacon immediately. 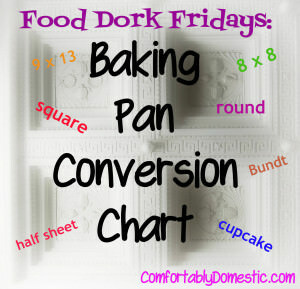 OR, take that slow cooker of spuds on the road to share at a family gathering or pot luck. 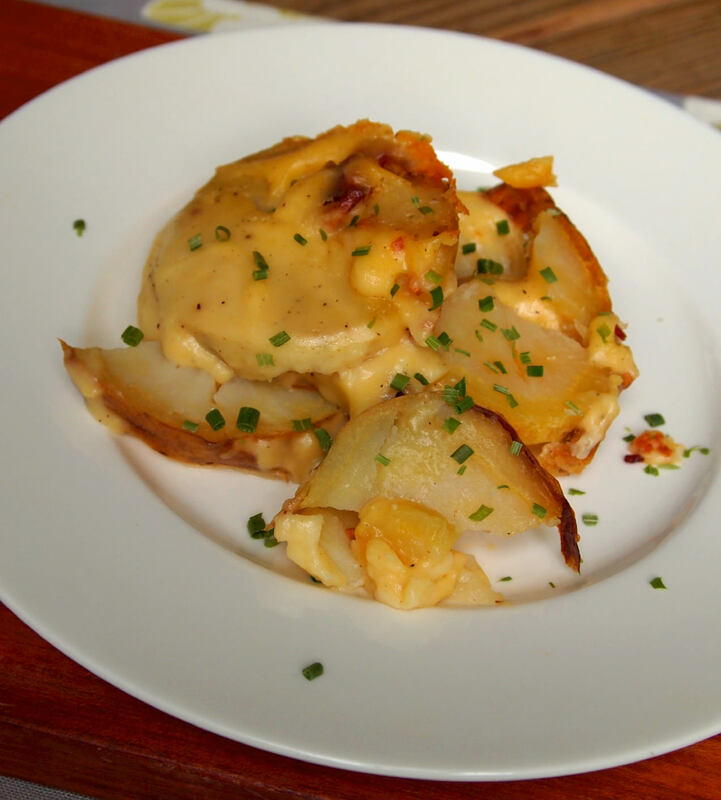 Just be sure to be first in line for the scalloped potatoes with bacon. 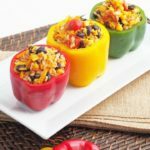 Because once your friends and family catch a whiff of what you’ve got going on in that crock pot, you might just have to elbow your way through the crowd to get your share. Chop the bacon into 1-inch chunks and fry until crisp. Drain on a paper towel. Slice the cooled baked potatoes in ¼-inch thick rounds; set aside while preparing the sauce. Melt the butter until it bubbles in the bottom of a heavy bottomed saucepan set over medium heat. 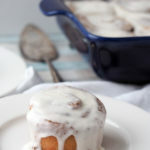 Whisk the flour, salt, and pepper into the melted butter and cook for one minute. Pour the milk into the pan, whisking the flour/butter clumps until smooth. Continue to cook over medium heat until the sauce thickens. 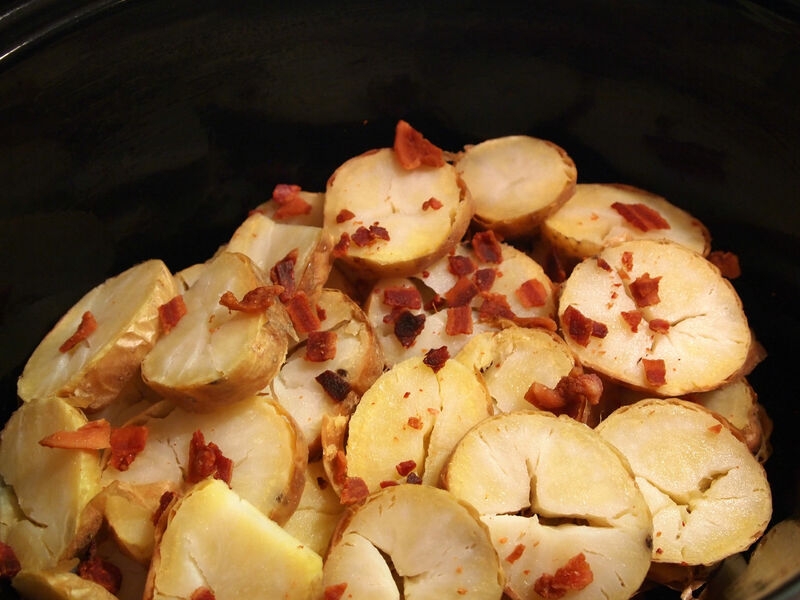 Layer half of the sliced baked potatoes in the bottom of a crock of a slow cooker that has been sprayed with cooking spray. 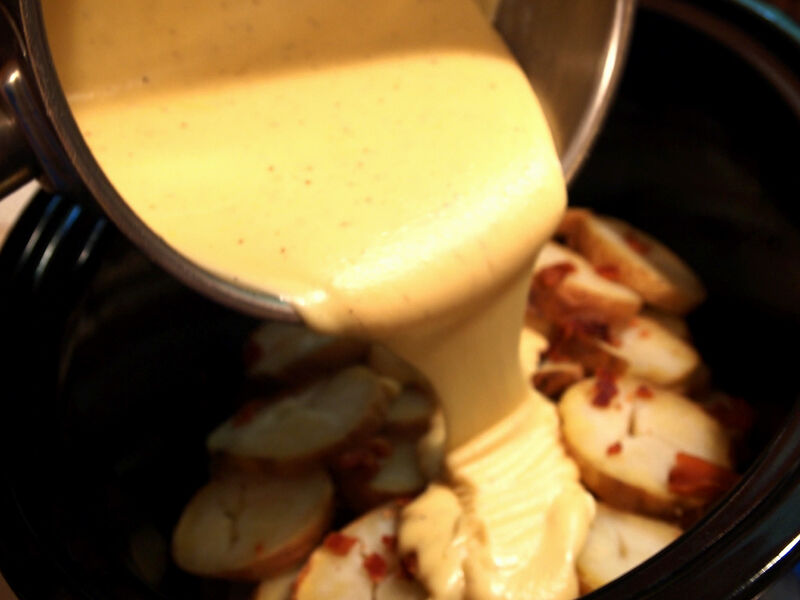 Pour half of the cheese sauce over the first layer of potatoes, and sprinkle half of the crisp bacon over the sauce. Repeat the layering with the remainder of the potatoes, cheese sauce, and bacon. Cover and cook on LOW for 2 ½ to 3 hours. 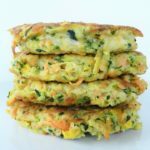 Serve immediately as is, or sprinkle with additional bacon, cheese, chopped chives, or sour cream. I am curious if I can make half a recipe since 25 servings is too big. Any suggestions? I would think so? I would just watch the cook time--it will probably take less time to heat through. What a good idea! I've always done my potatoes by layering the ingredients, rather than just making the sauce in a pot - much better idea! I like the sounds of this recipe and the fact that the potatoes can be done the day before, as can the bacon and the grated cheese.